Returns the series value on the chart scale determined by a y pixel coordinate on the chart. A double value representing a series value on the chart scale. 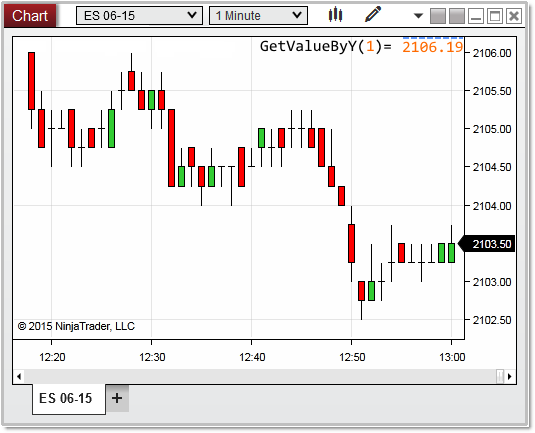 This is normally a price value, but can represent indicator plot values as well.